People have different preference for vehicle sizes – while some prefer big 4x4s, some might prefer sports cars and there is also a segment which prefers compact or subcompact cars which these days are becoming very stylish, tech-sophisticated as well as powerful. Kia Rio has lived up to the expectations of consumers with designers having engineered a car with features that are cutting-edge yet at the same time effortlessly simple to use. 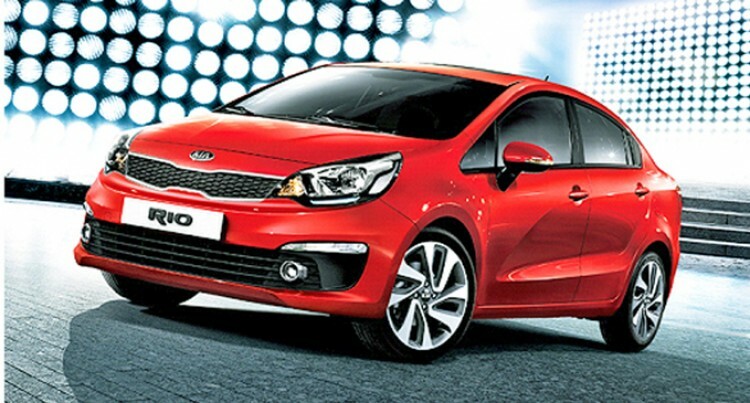 Kia has freshened its Rio adding some kit and fiddling the model range adding further choices. The vehicles sporty style has been enhanced with a revised bumper, grille and other minor hardware changes. On the inside, the Rio gets a new style centre fascia, an audio unit design and metallic highlight which indeed enhances the look. Some versions are available with smart key – a neat, compact device that locks and unlocks the Rio with a simple touch of a button. Bluetooth – lets you make and receive phone calls hands free and stream your music through the car’s audio system.Steering wheel audio remote – adjust audio settings using just your thumb for enhanced driving safety.And it also has Aux/USB Port as well as radio/CD Player/MP3. Kia Rio has the electronic brake distribution and ABS. If you have to brake and swerve suddenly, EBD/ABS applies the correct amount of brake pressure to each individual wheel so that you maintain control.Airbag systems provide protection and reassurance and one can travel at ease. Underneath a reinforced high tensile steel sub-frame offers strength where it’s needed most.Back warning system – when reversing into a parking space, an alert sounds if you get too close to other cars or obstacles. The sleek design Kia Rio along with range of Kia vehicles are now available from Kia Motors Fiji Showrooms, located in the corner of Grantham Road and Carpenter Street, Garden City, Raiwai Suva, and on the Main Street in Nadi Town.Kia Motors Fiji Service Centers are located on Carpenter Street in Raiwai Suva, and on the Khan Jan Drive, Wekamu Sub-division in Nadi, opposite the Nadi Temple.